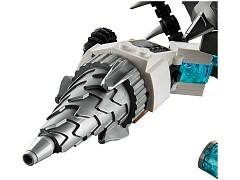 Confront the monstrous Claw Driller and regain the CHI! 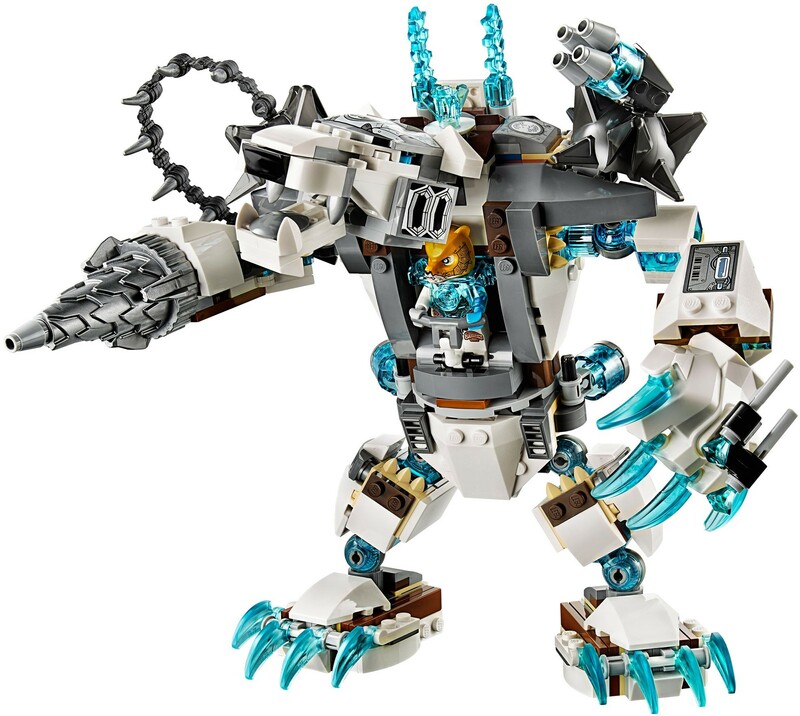 The Ice Bears are attacking Bulkar in Icenhowler’s gigantic Claw Driller to try and steal the CHI! 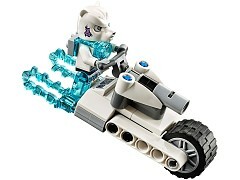 Fight ice with fire on Bulkar’s Burner Bike, steering clear of the mighty mech’s spinning drill, dual flick missiles and powerful swinging arms. 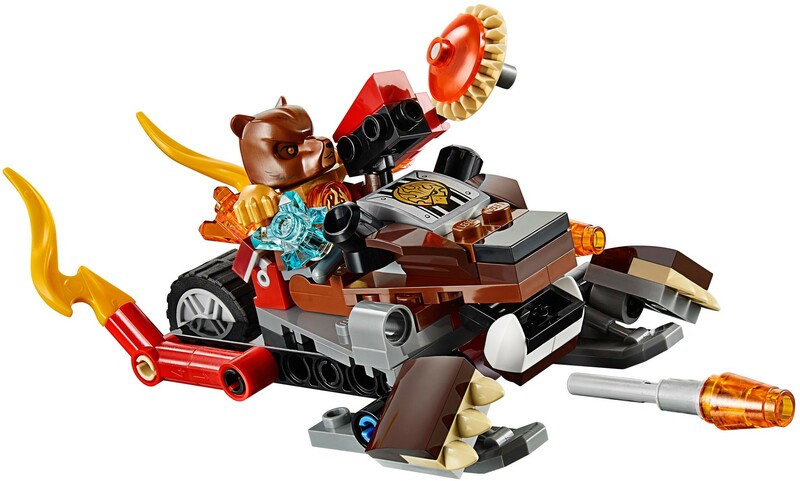 Outwit the Ice Bears from the air with flying Razar and his Fire Harness. 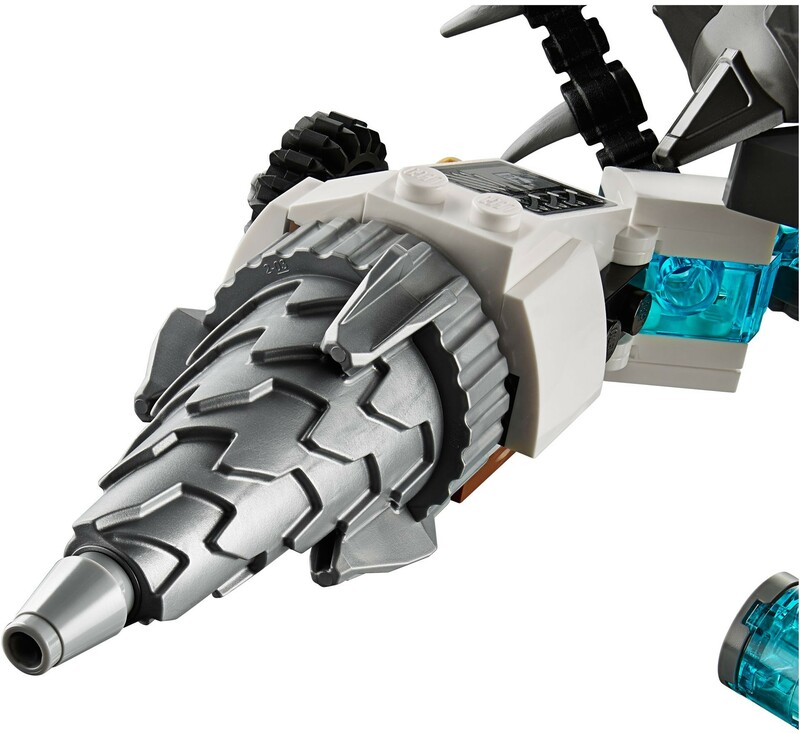 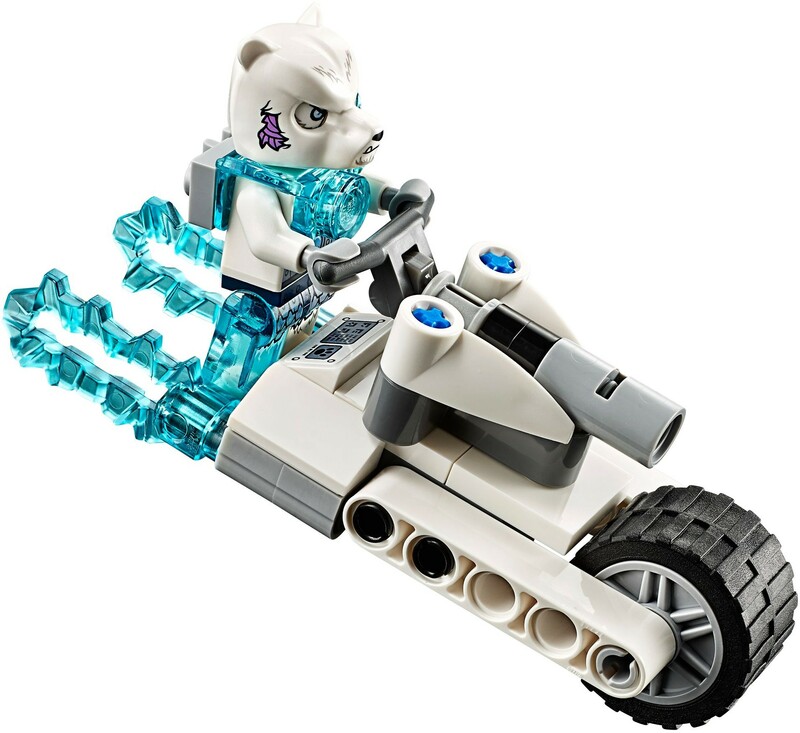 And watch out – Icepaw could launch into battle at any time on the Claw Driller’s detachable Blaster Bike! 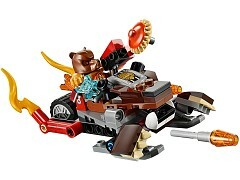 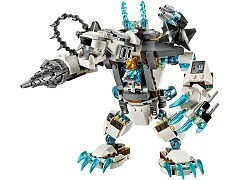 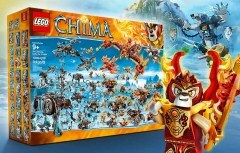 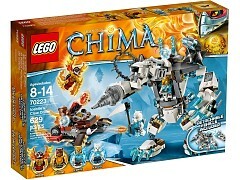 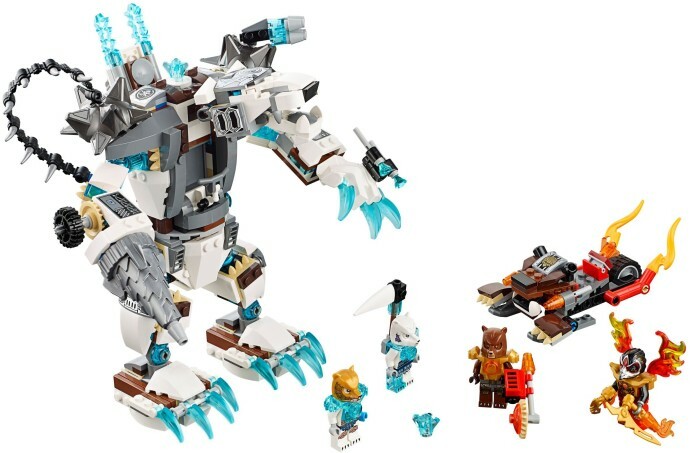 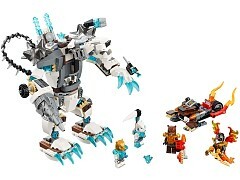 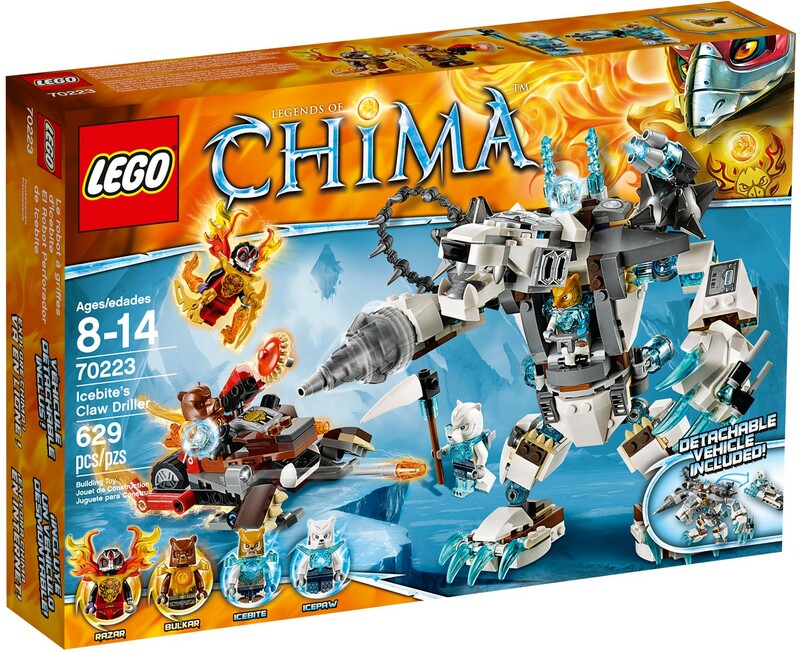 Includes 4 minifigures with assorted weapons and accessories: Icebite, Icepaw, Razar and Bulkar.